Royal Palace in Phnom Penh, Cambodia, is best known for the Silver Pagoda where silver plates covered the entire interior. For me, the real gems were the fading murals painted along the entire inner court wall. Clearly left to neglect, I tried to photograph as much as I could of what was left. The Fatehpur Sikri took 15 years to build. The palace was abandoned shortly after being used for only 14 years because of water scarcity. It was only 40 kilometers away from the more famous site of the Taj Majal. I went on a hot July summer day. The temperature reached 105 and it took a look 4.5 hour drive to get there from New Delhi. Sweltering in the heat just to walk around the palace grounds, the sight of the dried up pool and sun-baked red sandstone was as effective as dense humidity would be in dragging my psyche through an oven. Alternatively, on the humourous sid, a shot of my hot pink buddy dressed in a hot animal print hotel robe. Yes, that was the robe the hotel provided in the room. I haven’t forgotten. Just gotten busy. Harraton, TPG and I went up to Ayuthaya as a daytrip last month. Really just an afternoon trip. By the time I finished running errands and we hopped into the car, harraton was munching on a chocolate bar as her lunch. It was an hour’s drive away from town, most of it spend extricating ourselves from the Bangkok inner city traffic. Don’t get me started on the return trip. 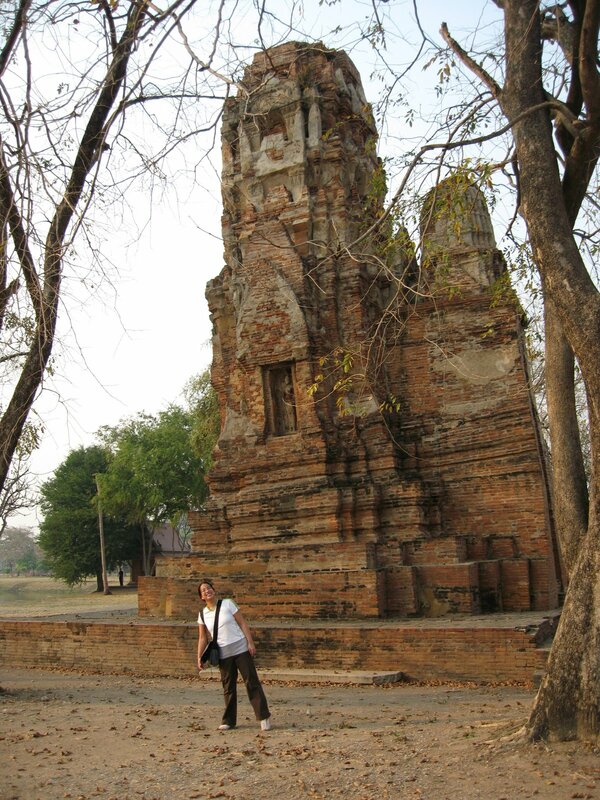 Ayuthaya used to the Thai capital and grand palace location until the Burmese came in and burned it down in the 1700s. The ruins were left to ruins as the reigning King chose to move further south to what became Bangkok instead of rebuilding in the same spot. It wasn’t until modern times that an effort to preserve what was left went underway. By then, it was clear a lot of the wats had been close to crumbling to the earth altogether. Part of its fragile and frail state adds to the appeal, but part of it makes you wonder how many more people will have the chance to see it before it really collapses. A significant number of the towers were tilted and we couldn’t really make out the substance that was used to hold the bricks together. Considering that some structures date as old as the 1300’s, the enormity of the structures and design was impressive. Even with just ruins left, there was enough to really inspire the mind to picture what a place it must have been. 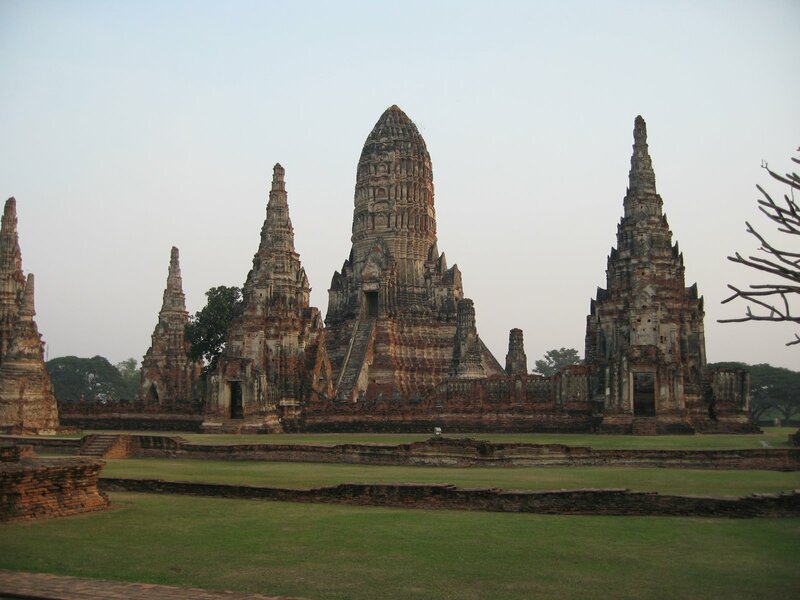 A majority of the remaining structures were wats, or Buddhist temples, as they are called in Thai. Perhaps because they are the buildings the Thais didn’t have the heart or had too much superstition to tear down. Brick was the primary building material but not the only. We puzzled over some Grecian looking concrete designs clearly slapped on the original brick walls. The wats were pretty spread apart, making me relieved that I opted to drive instead of taking the bus. We had the freedom to roam on our own between the different sites. Most sites required an admission fee, ranging from 30-150baht a piece. We went in one but stuck around the outside for the rest. 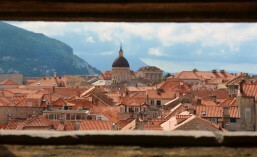 Walls can’t begin to conceal the grandeur of the buildings from our view or our camera shutter. By the end of several hours, though, we were admittedly watted out. The two most grand ones we didn’t go in- Wat Luang and Wat Chai Watthanaram- and may be worth a second visit for me. I know one thing for sure, I’m coming back in the evening, armed with camera and tripod.